EconoSpeak: From Full Employment To "Inclusive Growth"
There are more reservations about redistribution in that paragraph than advocacy. And who says greater equity is necessarily redistribution? Wasn't displacing workers for the sake of corporate profits already redistribution? But why worry about redistribution when "technology platforms such as taskrabbit, Alibaba, etsy, and Sama can help give smaller-scale producers and service providers a direct stake in global markets"? Not to mention the burgeoning opportunities to sell Chiclets to Uber drivers stuck in traffic jams! After all, "more inclusive growth requires frank talk about risks and concrete initiatives to help people adjust to new realities." 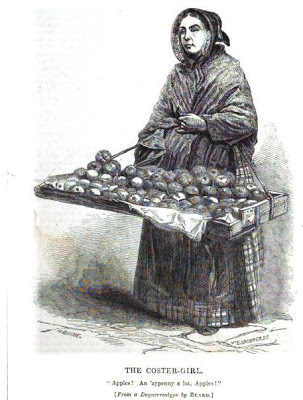 "If only there was etsy, I could sell these apples globally!" "Unemployment," in the case of the willing and able becomes henceforth a social crime. Every democratic Government must henceforth take as the starting point of its industrial policy, that there shall be no such thing as able bodied men and women "out of work," looking for occupation and unable to find it. Full employment... means having always more vacant jobs than unemployed men, not slightly fewer jobs. It means that the jobs are at fair wages, of such a kind, and so located that the unemployed men can reasonably be expected to take them; it means by consequence, that the normal lag between losing one job and finding another will be very short. John Maynard Keynes, "The Long Term Problem of Full Employment"
As the third phase comes into sight; the problem stressed by Sir H. Henderson begins to be pressing. It becomes necessary to encourage wise consumption and discourage saving,-and to absorb some part of the unwanted surplus by increased leisure, more holidays (which are a wonderfully good way of getting rid of money) and shorter hours. The hours of labor are too long. The world has been caught in the wheels of its own machinery which will not stop. With each advance in invention and mechanical power it works harder still. New and feverish desires for luxuries replace each older want as satisfied. The nerves of our industrial civilization are worn thin with the rattle of its own machinery. The industrial world is restless, over-strained and quarrelsome. It seethes with furious discontent, and looks about it eagerly for a fight. It needs a rest. It should be sent, as nerve patients are, to the seaside or the quiet of the hills. Failing this, it should at least slacken the pace of its work and shorten its working day. Among [the past opponents of full-employment policy] there were (and still are) prominent so-called ‘economic experts’ closely connected with banking and industry. This suggests that there is a political background in the opposition to the full employment doctrine, even though the arguments advanced are economic. That is not to say that people who advance them do not believe in their economics, poor though this is. But obstinate ignorance is usually a manifestation of underlying political motives. How did we get from more job vacancies than there are unemployed, at fair wages, to "frank talk" about high-tech platforms for 21st century costermongering? The first step, according to Roy Harrod, was "to extend Keynes's analysis into the long run by considering under what conditions a growing economy could realize full-capacity utilization and full employment." This was necessary, Harrod, claimed, because Keynes "hadn't got round to it." 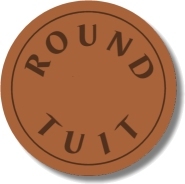 Keynes hadn't got a round tuit. ...the full employment policy by means of investment is only one particular application of an intellectual theorem. You can produce the result just as well by consuming more or working less. Personally I regard the investment policy as first aid . In U.S. it almost certainly will not do the trick. Less work is the ultimate solution (a 35 hour week in U.S. would do the trick now ). How you mix up the three ingredients of a cure is a matter of taste and experience, i.e. of morals and knowledge. But aside even from what Keynes's views on full employment were, the point Harrod was making was that neo-classical growth theory was supposed to be about the conditions necessary for maintaining full employment. That is to say, economic growth was explicitly conceived as a means to a defined end -- full employment -- and not as an end in itself. So what, then, is the aim of inclusive growth? Inclusive full employment? Hell no. It would appear that the aim of inclusive growth is primarily to restore the credibility of economists who have been caught out touting trade and technology without being "sufficiently upfront about the distributional consequences." Secondly, Carney offers inclusive growth as a strategy for rehabilitating the tarnished reputations of technology and trade-related "structural reforms" so that they may resume their role, alongside monetary and fiscal policy, as drivers of... totemic economic growth. Growth remains the ultimate end of economic policy. Full employment is not even a distant memory but a forgotten casualty of the alleged "extension" of Keynes's analysis. Or perhaps Harrod meant to say extinction? I originally was going to title this post "The Unsolved Riddle of (the Long-Term Problem of [the Political Aspects]) of FULL EMPLOYMENT (in a Free Society)" in deference to four of the texts that I quoted from above: Stephen Leacock''s The Unsolved Riddle of Social Justice, John Maynard Keynes's "The Long Term Problem of Full Employment," Michal Kalecki's "The Political Aspects of Full Employment" and William Beveridge, Full Employment in a Free Society. But then Carney's speech appeared with its tantalizing image of the economists' totemic belief in free trade. Some readers may find all this talk about myth, utopia and totem annoying. Aren't we talking about economic policy options in the real world of production, exchange and finance? Yes and no. The economic conversation does have effects in the real world but more often it serves to mystify rather than clarify what is going on. Ironically, the rabid segregationist Collins is more trustworthy as a foe of full employment than Carney, the bank governor, is as an advocate of elusively inclusive growth. Collins knew where he stood. No one -- least of all Carney -- knows what he stands for. I love how K. makes the distinction between morals and knowledge; heyday of emotivism and all that. Why couldn't he just bring himself to say politics? Say, could you give us the dates of those texts you quoted? Thanks. "Fostering dependency on the state is no way to increase human agency"
The best way to foster dependency is to give people no alternatives. The best way to foster independence is to give people security. With a basic income those two constraints are not the least in conflict. It is means tested benefits that are the problem. It always seems to amaze me that the same people seem to think that the way to provide incentives to rich people is to offer them more, and the way to provide incentives to poor people is to give them less. Are rich people and poor people different species? Then at least a massive wave of sit downs ala1936 ! the demagogues will make hay until the WPA is a gulag !